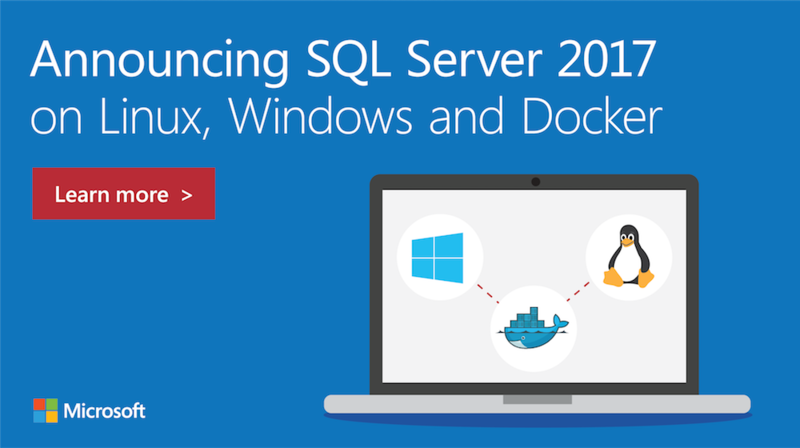 In October 2017 Microsoft announced the general availability of SQL Server 2017 for Windows, Linux and Docker. And since I started to play around with Docker I thought it’s a good idea to setup my next development environment for SQL Server on Docker? Why? Because Docker provides the ability to package and run an application in a loosely isolated environment called a container. And a Docker container is much more lightweight than a Virtual Machine, because it doesn’t need an extra Operating System, it runs directly within the host machine’s kernel. 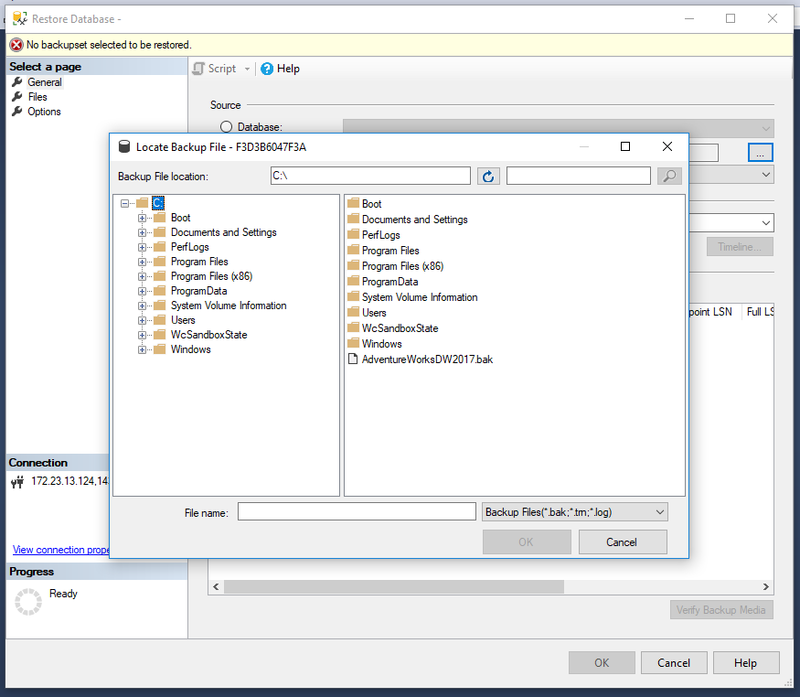 Since I run Windows 10 on my developer machine it need to setup SQL Server in a Windows Docker container and I figured out, that there some pitfalls that I came along. So I though it’s maybe benefitial to write a Step by step setup guide. And there is also a very nice setup guide you can find here: https://docs.docker.com/docker-for-windows/install/. After your setup I would recommend to test if everything works fine. Just follow these examples and run your “Hello World” on Docker. Additionally I would recommend to install Kitematic, a simple and powerful graphical user interface to manage your Docker environment. 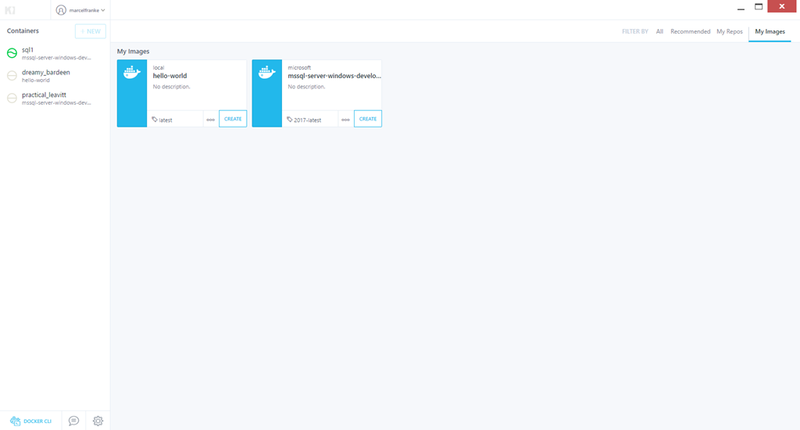 After installing Docker on your machine Docker will start automatically in the background. As per default, Docker runs with Linux containers and you have to switch to Windows containers first. 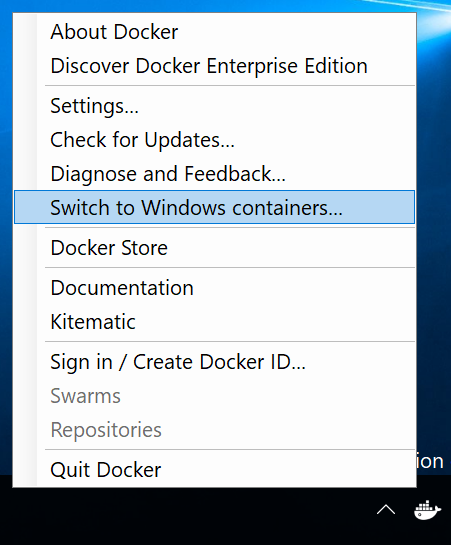 This is very is, just right click on your Docker icon in the taskbar and select “Switch to Windows containers”. Docker Store: The store is for publishers, that want to sell and distribute docker content (more details). Docker Hub: The hub is a cloud-based image registry to link to publishers own code repositories (more details). I will continue with the SQL Server 2017 Developer Edition for Windows. In order to download the image run the following command in Powershell oder the Commandline. This will download the latest version of SQL Server 2017. This step can take a while, depending on your internet connection. In this case, the image will have a friendly name “sql1” and SQL Server will run on port 1433. 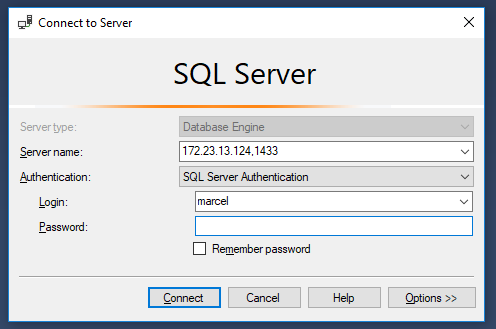 Very good now we are able to use our SQL Server environement as we are normally used to it. But it makes for fun, if we would have at least some data to play with. Let’s get AdventureWorks and install it on our Docker image. AdventureWorks is a sample database that you can download here. In my case I downloaded the AdventureWorks Data Warehouse backup file. 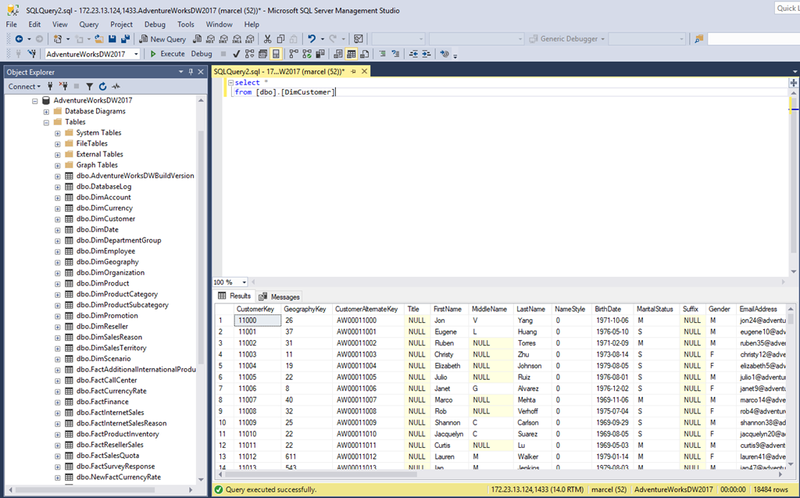 Start your image again, get your new IP-Address and connect with SQL Server Management Studio. Then restore your database from your backup file and you are good to go. The last step is the easiest one. Just fire some SQL queries in your Management Studio. STEP 5 and onwards: Pls. note, that this ONLY works, if you use CLR, it does NOT work with Powershell, as invoke-sqlcmd has different parameters than the sqlcmd “command” itself.